Earlier this year, Scott took a break from running chainsaw and climbing courses to work with the Buxted Scouts on one of their many camps. This was held at our site. 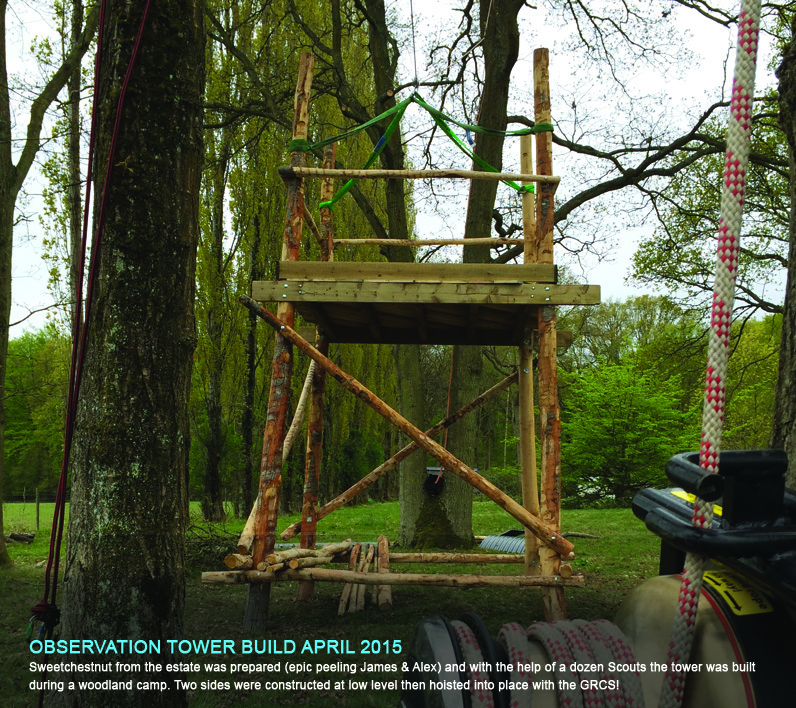 Over 2 days, these younger trainees (who knows, maybe even aspiring arborists or foresters) built an observation tower, using a variety of practical skills. They worked with sweet chestnut from the woodland, developing their coppice and wood working skills, to create the frame. The GRCS was used to lift the frame into position. This equipment, usually used on our Rigging courses, certainly helped get the job completed! A big thanks to the Buxted Scouts and leaders for all your hard work…what shall we build next? !